Mold infestation is a growing problem in both residential and commercial real estate. This has lead to a thriving (and highly competitive!) market for mold removal services. If your company is competing in this busy marketplace, you know that you need every possible edge to stay profitable. Investing in the right field service management tools is an important part of keeping your business competitive. Thanks to modern technology, businesses of all sizes are taking advantage of lean production principles to keep their overhead costs to a minimum. Advanced tracking and reporting software makes it easy to balance your inventory, track your employees, analyze business processes, and maintain full awareness of how your business is behaving. There’s one place where this growing net of technological awareness breaks down, though and that is out in the field. Because most service industries like mold removal, ultimately rely on the independent work of technicians and field teams at the job sites, it is difficult to extend modern IT resources to the place where your work actually gets done. Mobile devices make it possible to tie your technicians into the overall data network of your company, but they need specialized software to make productive use of the access they now enjoy. Like a lot of the service sector, mold remediation and removal work is split up between small, independent companies, franchise operations, and huge nationwide brands. If you are on the smaller end of this scale, it can be extremely difficult to compete with bigger firms in a viable way. Large remediators and franchise owners get access to advanced software tools to help with dispatching, inventory management, work orders, customer relations management (CRM), and all the other IT jobs that need to be taken care of to provide high levels of customer service. Handling the flow of information to and from your field techs with traditional means (radio dispatching, pen-and-paper records, etc.) wastes precious time both in the field and in your offices. Yet the software programs that could help streamline these communications mostly seem to be either too expensive or too generic to help your business and your employees work more efficiently. Fortunately, that is starting to change. 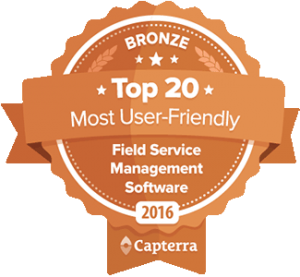 Field service management is one of the fastest-growing areas of commercial software development. When you see what a strong FSM system can do for a company, it is easy to decide that you want to put those kinds of tools for your own field technicians. Once you investigate the matter further, though, you discover that affordable off-the-shelf programs rarely meet your needs. Custom-built software can be extremely expensive and maddeningly unfriendly to new users. Companies like Bella FSM recognize these universal problems in developing field service management tools. It is clear that investing in the best FSM software will be a waste if it does not prove useful to your technicians in the field and the in-office employees who support them. That is why Bella helps its clients customize their versatile software tools to meet the needs of the individual business. Useful FSM tools have to be developed in a collaboration between experts who know software and experts who know your industry. That’s why Bella and other leading providers specialize in, not only building powerful software, but also customizing it for clients and teaching employees how to use it. To give your mold remediation business the IT resources it needs to stay competitive, a customized field service management package needs to be developed to adapt to your existing workflow. This process requires a significant investment. It’s not just financial resources that have to be devoted to FSM development, either. The process is only successful when your best employees contribute the benefits of their expertise to the development process. It takes time and money to build great field service software, but in the end, you will be impressed with how much more efficient it can make your field teams. Field service might well be the most important of the mold remediation business. Do you really want your field technicians to be drawing the short straws when it comes to providing advanced IT resources? Building a robust field service management system will help your techs do their jobs better and make them as productive as they can be. In the competitive world of mold removal, you need to get the most out of your technicians to stay on top. Good FSM software helps you do that. R.S. 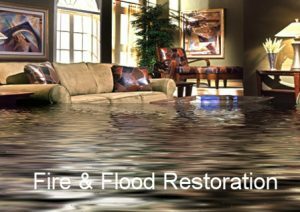 Hall is the owner of several successful businesses and publisher of the website MoldRemovalRescue.com which provides solutions for mold problems.